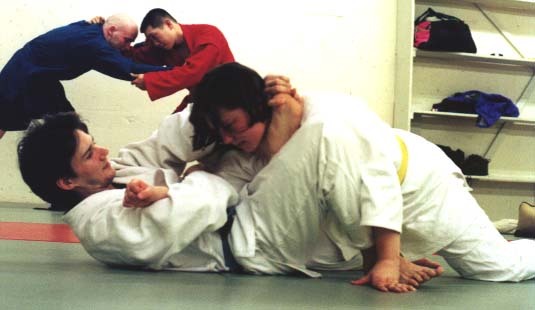 Chokes are illegal in the rules of sport sambo or sambo wrestling and in competition. Ken Stavenes is a blue belt judo member at the UBC Judo Club in Vancouver BC Canada. He also trains in sambo at UBC. Ken discovered and used successfully his "Stavenes Choke." More info to come. and also on Leslie McR. did you sign our guest book?